Quality hair care keeps your wig looking great, regardless of your face shape. It’s important to consider your hair type and facial features when deciding on the right wig style for you, whether you wear a full cap or partial cap hair replacement. However, don’t forget the most important factor: your face shape. Choosing a wig style that works with your face shape will make you look your best from all angles. Here are three A-list style secrets on the best wig cuts and styles for anyone’s face shape and features. Asymmetrical — A rounder-shaped face looks really good under an uneven, asymmetrical cut, including a mix of several lengths. By choosing a wig with a deep side part and long, side-swept bangs, it will make you look slimmer. Use quality hair care for your wig to make sure you keep your style looking its best. Also coax and train the bangs of the wig to the side. 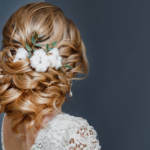 Long Layers — If you prefer to have a wig with a part in the center, make it work for a round face by having the length past your shoulders with layers hitting right at the jaw. Use hair products for remy hair to keep the ends from fraying and the style looking its best. Defined Pixie — If you’d rather go for a shorter style, try a pixie cut. These pieces put emphasis on the cheekbones and eyes, which is a perfect way to complement round faces with a simple, shorter wig style. Straight Bangs — If you have an oval face, you may feel it tends to appear long and skinny. By choosing a wig style with straight bangs, you’re adding a horizontal element that can interrupt the appearance of length. Center Part — A wig style with a center part at shoulder-length or longer goes nicely with an oval face. To keep the look from appearing too extreme, you can style it with some soft waves. 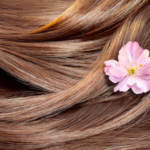 You can practice quality hair care using hair products for remy hair to keep it looking its best. Edgy Short Cut — A wig with a short cut can also be made to work for oval-shaped faces. This style is daring, with hard lines and choppy cuts to make it look piecey and show off your neck and ears. Thinned-Out Bob — Square faces are well complemented by a softer, tapered bob cut to hit right around the chin. The style is also nice when it’s cut to add texture around the jawline to offset the severity of the area more. Tousled Shag — A wig style with shag and body goes well with square-shaped faces as well. Emphasized layers help take emphasis off of squareness at the jaw. Wavy Ends — Try a longer wig style with waves starting from the ears down. This helps offset the severity of the square jawline. If you’re looking into a new wig style to fit your face shape, there are several options. Hair products for remy hair make maintenance for your new wig style easy so you can spend more time showing off your do. If you’d like to learn more about maintenance for wigs and hair extensions, contact us. Our hair products for remy hair will keep your wigs looking great.